While Nicole and I were preparing for our trip, we saw a show on the food network called "World's Weirdest Restaurants". 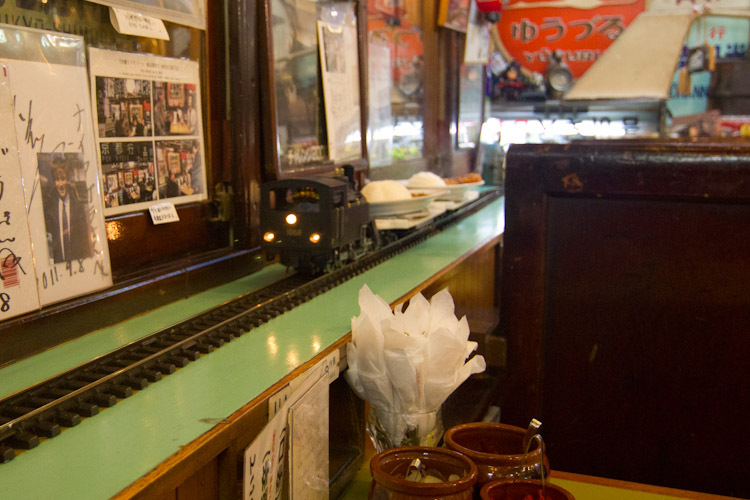 The episode featured a train themed Japanese curry restaurant in Tokyo called Niagara Curry. 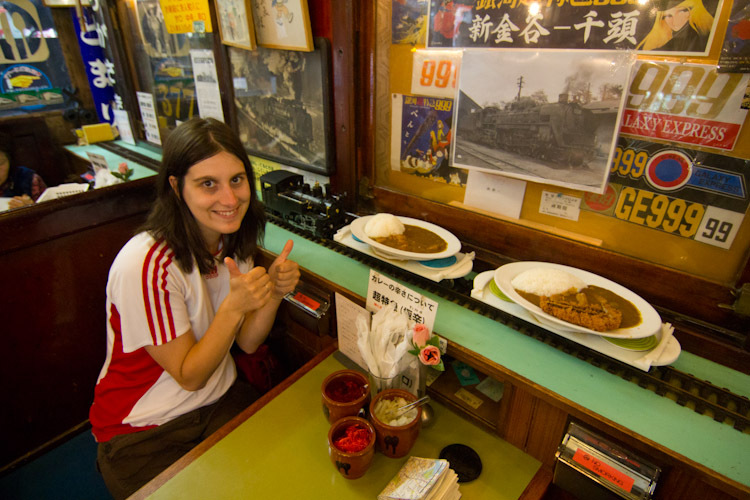 With Nicole being a train-buff who grew up playing with model trains, we resolved to grab some train-licious lunch when we arrived in Tokyo. 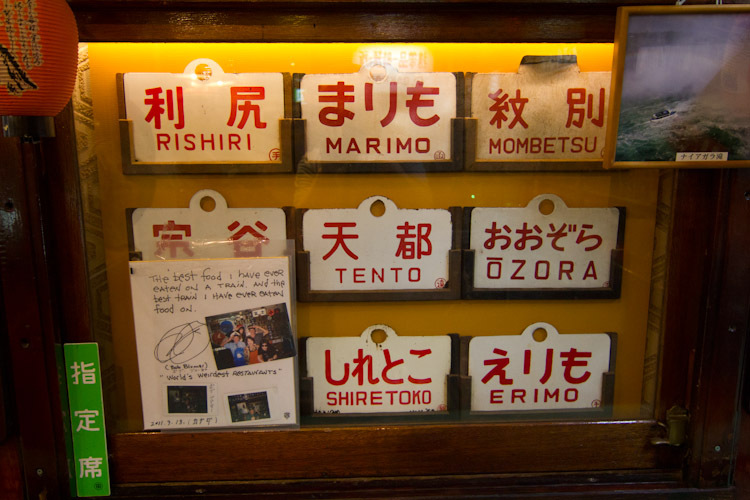 One thing the episode didn't include was directions to the restaurant, but after some searching and deciphering of the restaurant's japanese-only website, we found it quite easily (simply go Shibuya and take the Tōkyū Tōyoko Line to Yutenji station. After you exit, turn left and walk about 50m and you'll see it on the left). The restaurant's owner (right) is a retired train station master who is actually more like the restaurant's conductor than its chef. 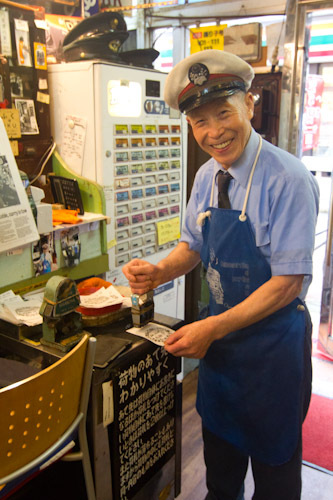 After we purchased our meal tickets from the vending machine at the front of the restaurant, he validates our tickets using a very old-looking ticket puncher, and stamps a special "boarding pass" for us once we're shown to our seats. 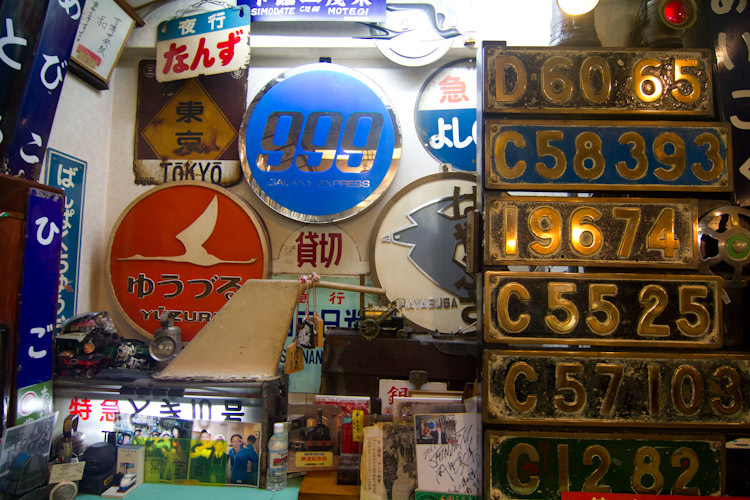 Over the years, he has collected train memorabilia from all over Japan to decorate the restaurant, and it is covered from wall to wall with old train system maps, station signs, uniforms and other trinkets. I ordered the katsu/pork cutlet (¥950) and Nicole went for the classic curry (¥650). After about 10 minutes our dishes were delivered to our table via a model train which runs the perimeter of the station. Nicole was all smiles as she removed her plate from the train. After finishing our meal, we were invited to try on original conductor's caps for a photo opportunity. Unfortunately, my ginormous white-guy head couldn't fit into any of the numerous hats available, which prompted the staff (and Nicole) to have a nice laugh at my expense. 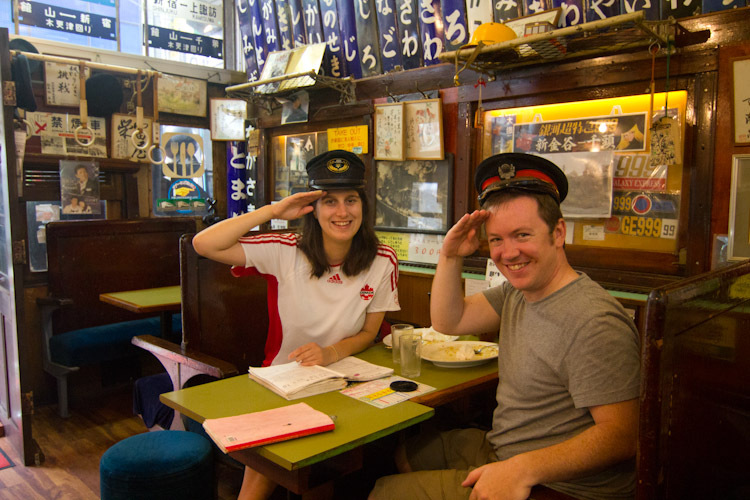 The station master's wife showed us numerous artifacts around the restaurant and had us sign their log book. Communication was limited due to the language difference, but when she learned that we were from Canada, she was quick to ask us if we had seen the Television programme featuring their restaurant. When we confirmed that we had, she pointed out where they'd put up the signed photo that Bob Blumer had sent them from the show. She then went on to tell us how the restaurant was named after Niagara Falls, pointing out a photo of it as well. Niagara curry is truly an example of how a restaurant can be about more than food, and I recommend it to anyone who is looking for a unique dining experience in Tokyo.